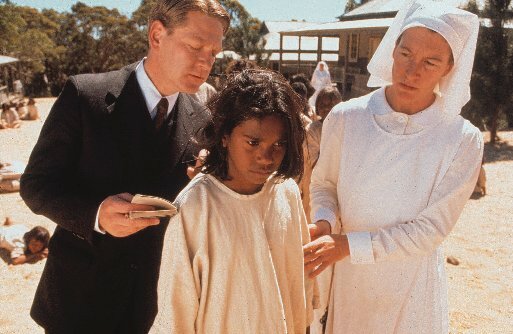 'Mr Neville' (Kenneth Branagh) inspects Molly (Everlyn Sampi) to see if she is 'fair' enough for adoption. This entry was posted in Australian Cinema, Films for children. Bookmark the permalink.